If you live in the Wirral, you should take steps to protect your vehicle from theft and make it easier to recover if the worst does happen. The latest statistics released by Merseyside Police show that the South Wirral area had 344 reports of vehicle crime for the year between May 2015 and April 2016, whereas 310 vehicle crimes were reported in West Wirral over the same period. The good news is that a car tracker can easily be fitted to any car, providing you with a way of monitoring and tracking your vehicle if it is stolen. With the use of car trackers, Wirral drivers have the opportunity to report the crime to the police and tell them exactly where it’s located. The motion sensing alerts on a vehicle tracker can know when the car is moving and activate the tracking process. The car can be tracked 24/7 through a control centre, so we can help recover your vehicle in collaboration with the local police whatever time of day it is. All of the car trackers available at TrackerFit come with a range of advanced features to ensure that they offer you the very best security. This includes battery back-up, battery disconnect alerts, pan-European coverage, tow-away alerts, geofencing alerts and the ability to see your vehicle on your smartphone, PC or Mac. For those looking for car trackers Wirral vehicle owners will find a great range of systems through TrackerFit, so there’s a model to suit all budgets. These include the entry level SmarTrack Protector Pro models through to the CobraTrak Cat 5 Web system, which has been approved by many luxury car manufacturers. 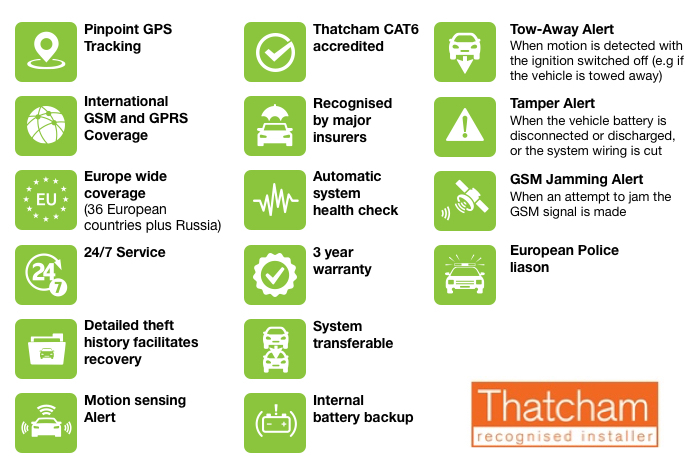 Our car trackers are also approved by many of the leading insurance companies, giving you a reduction in your premium, and installation anywhere in the country is included in the price. Car trackers provide a fantastic number of benefits for vehicles owners and it’s quick and easy to book an installation through the website, or by calling for free today on 0800 756 5100. One of our Thatcham approved mobile engineers will arrive at your chosen location in the to install your chosen car tracker.